My Tuesday morning "before breakfast" plans aren't working out- Petunia always wakes up and demands to spend time with me rather than continue to snuggle Hubby. Perhaps I need to just give up on the idea of a Tuesday morning writing session and go for a run- Petunia seems to do OK as long as I leave the house. 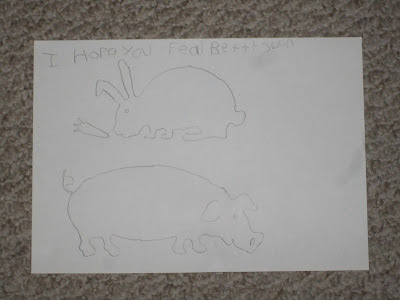 She traced the animals, of course, but she picked that particular tracing plate because it has a rabbit, which she knows is my favorite animal. 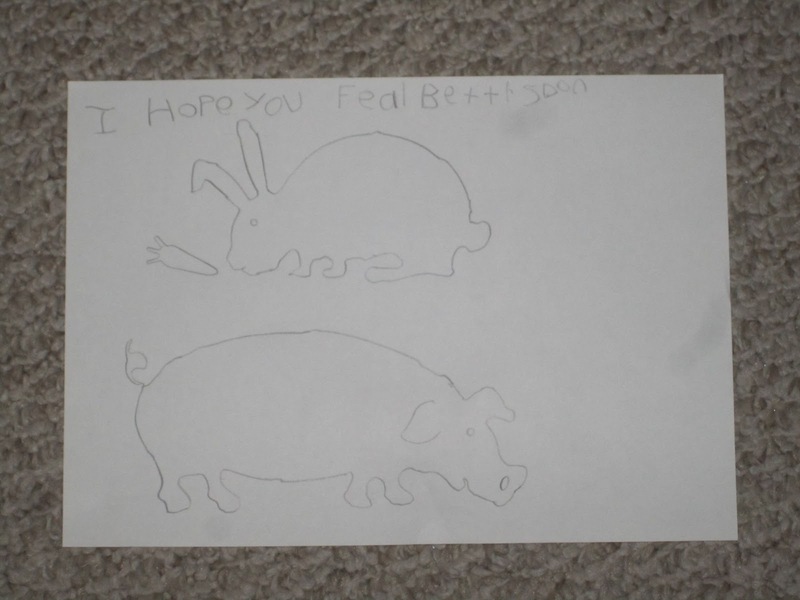 And she wrote the text all by herself- "I Hope you Feal Bettr Soon." It worked.